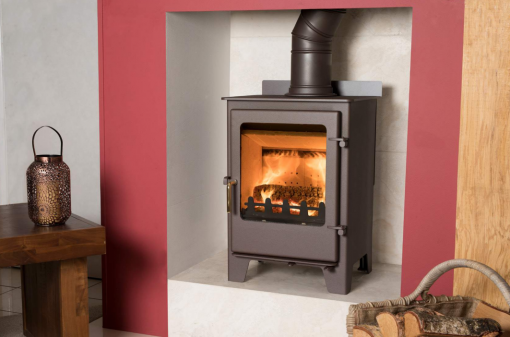 With it’s large glass window for an unrivalled view of the fire, easy to use controls, 7kW output and an incredible built in air wash system, the Harrogate Eco Design smoke control stove is future proof and a classic. The energy efficiency rating is A. 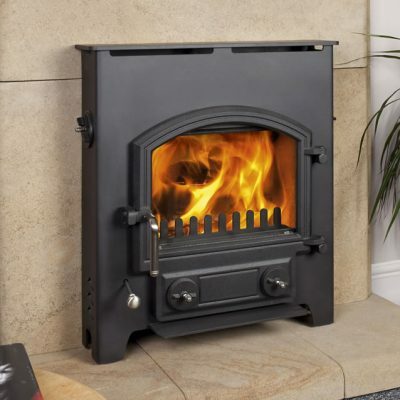 There is also our own design tertiary air technology which re-ignites gases, giving more heat. 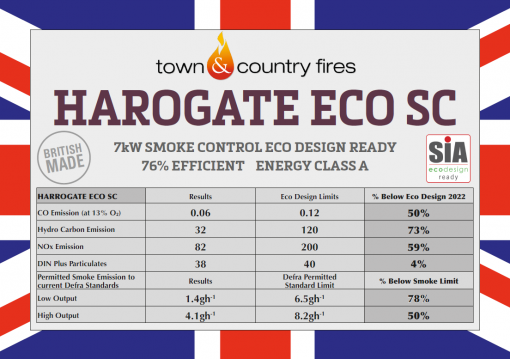 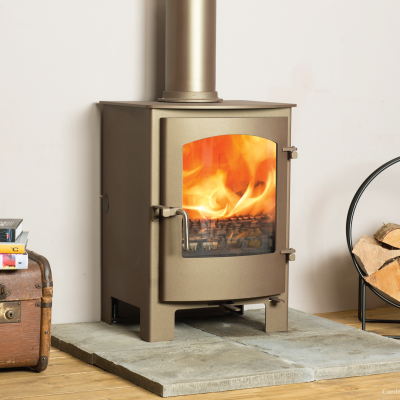 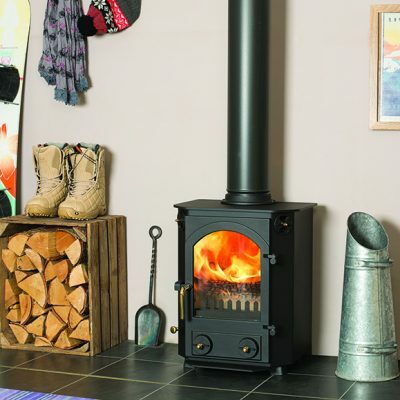 Both of these proven technologies make the Harrogate Eco stove a perfect choice. 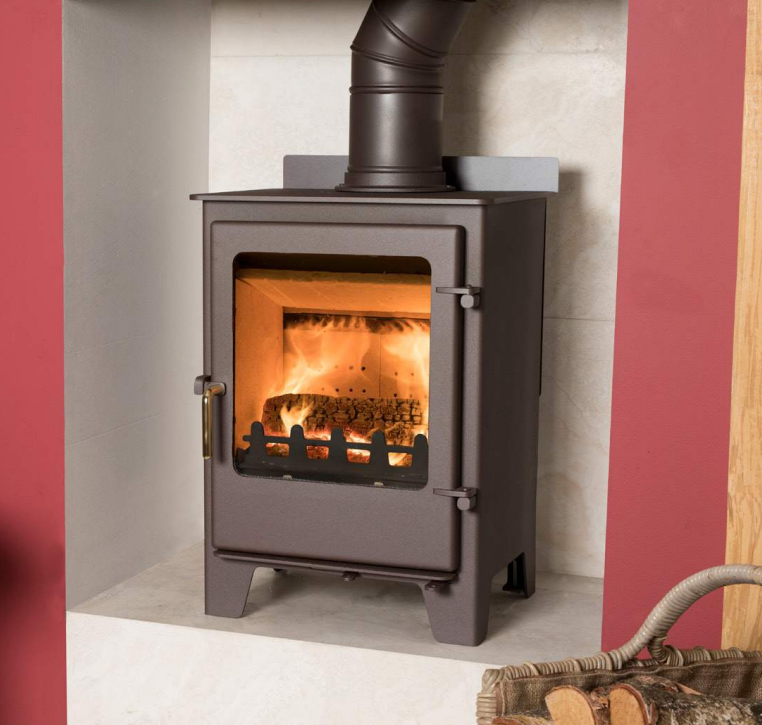 The integral back heatshield, when using vitreous enamelled flue pipe from the stove, reduces the distance to combustible materials to 200mm at the rear of the stove.